One more day until the weekend!! Woo hoo! I’m looking forward to this weekend because we don’t have much going on for once! Libbey and I are going to a baby shower, but that is the only thing on our agenda and I’m ok with that! So, once again I have been “window shopping” online! My husband told me I should give up online shopping for Lent! Haha I have yet to buy anything, but Easter seems so far away… Hope I can last that long! 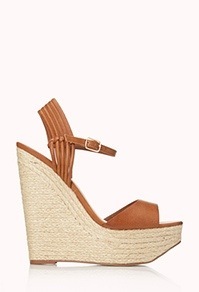 I’m dying over all the cute wedges that are out right now!! I looove wedges! They are definitely the shoes I wear the most in the spring/summer! It is not warm enough to break them out just yet where I live, but hopefully in the next few weeks!!! Below are a few pairs of wedges I am DYING to have! !